. إن الخدمات التي يقدمها Captain's At The Bay Hotel تضمن للنزلاء إقامة مريحة. يقدم الفندق واي فاي مجاني في جميع الغرف, خدمة التنظيف يوميًا, خدمة غسيل ذاتية, خدمة سيارات الأجرة, تسجيل وصول/خروج سريع لضمان الراحة القصوى لضيوفه. بالإضافة لهذا,تتضمن كل غرف الضيوف مجموعة واسعة من وسائل الراحة . بعض الغرف توفر حتى تلفزيون بشاشة مسطحة, غرف لغير المدخنين, مكيف هواء, تدفئة, خدمة الإيقاظ لإرضاء أكثر الضيوف تطلباً. يمكنك طلب اللائحة الكاملة للخدمات في الفندق ومن بينها مسار جولف - ضمن 3 كم, حديقة. إن Captain's At The Bay Hotel هو خيارك لخدمة الفنادق الراقية في طريق المحيط العظيم - خليج أبولو. Went this year , part Of our rest stop , while exploring GOR. Staff here were kind and we were treated to Australian hospitality. We got a huge room , staying in luxury was worth it . Highly reccomended . My partner and I stayed in the cottage for the night and it was lovely! The king size bed was amazingly comfortable! The free standing bath definitely won me over and breakfast was Delish 😁 Will be staying again in the future! The new owners of this hotel, Duncan and Anna, are very friendly and warm persons that made our stay a nice experience. The hotel is located very close to the main street of Appolo Bay. We arrived late in the evening but the hotel was quite easy to find. Each room has its own parking place which was convenient. Breakfast was good. Free wifi was available. A supermarket is located just opposite the hotel which is convenient. 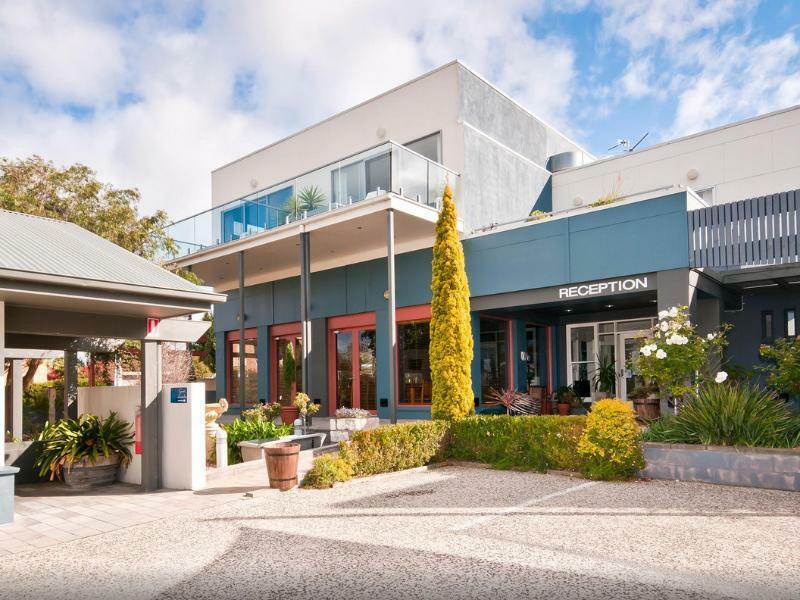 Me and my girlfriend stay one nigh at Captain's @ The Bay during our 3-day Great Ocean Road trip. After a day on the road the hotel was just what we wanted - friendly staff and one of the most comfy hotel rooms we have ever stayed in. Breakfast the following morning was very good and i would highly recommend this hotel to anyone looking at having an overnight stop on Great Ocean Road. Booked the Queen Bridge Room Ocean View. Room was extremely clean and spacious for our 18mth kid to run around! 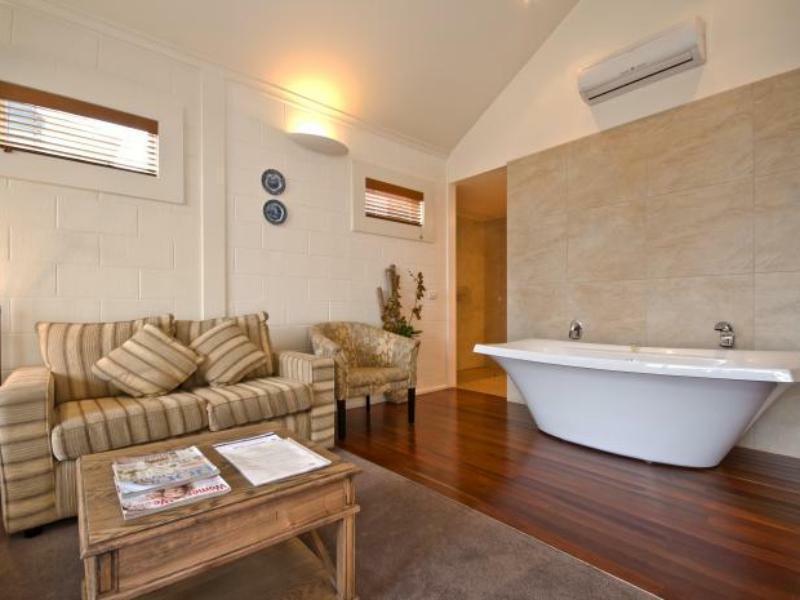 Stayed at Port Room, wonderful tub in the middle of the room. Nice bedding and modern room with a nice view. The stay at the hotel was great. It was very clean and Duncan and Anne were helpful. Breakfast was great as well. 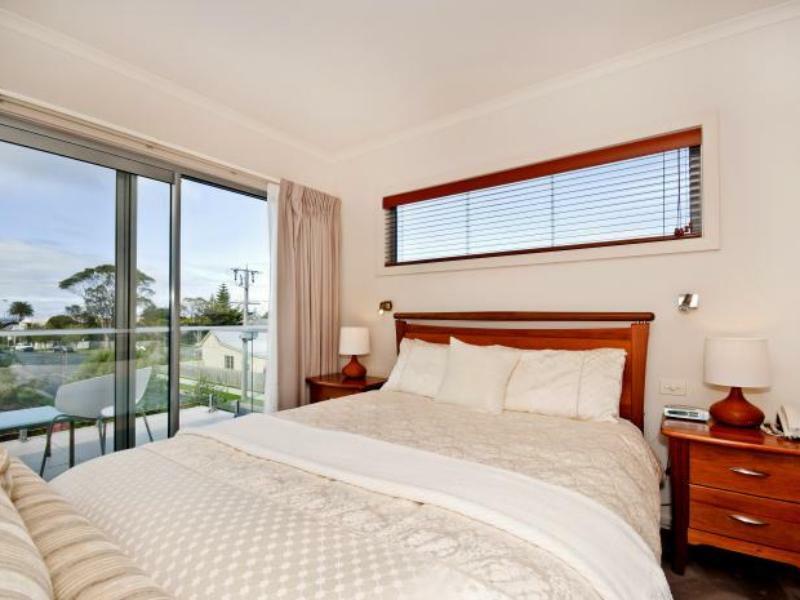 Will definitely book again when staying in Apollo Bay. The place has more rules/surcharges than the city of Singapore. We had booked this hotel coz of great reviews but were highly disappointed with the hosts (Anna & Duncan). I would prefer a B&B along the Great Ocean Road as this was no more than that. Not recommended if you have kids. Clean and spacious room. Friendly and efficient staff. Free DVD collection. Owner is very friendly, room is very good in terms of size, quality and décor, but lots of bugs everywhere. Location is very convenient. 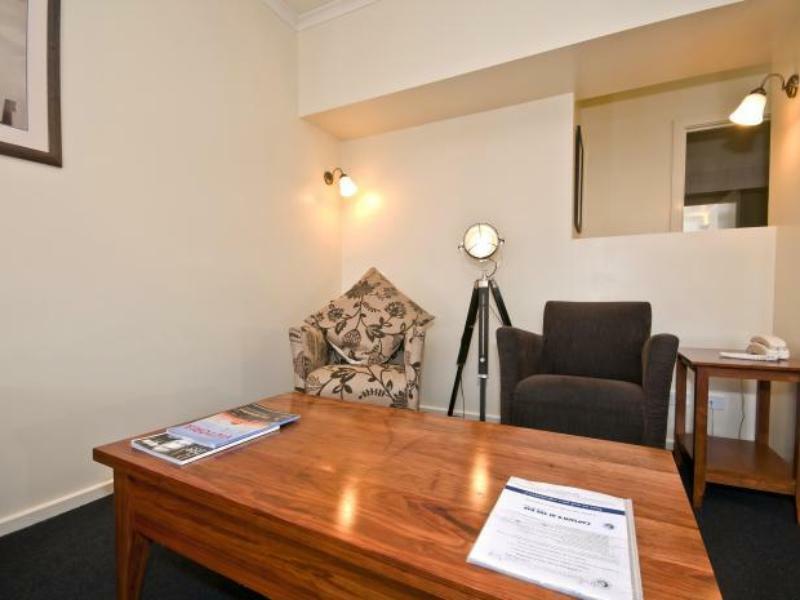 Located very near to the Travel Information Center on Apollo Bay. The room is well decorated and spacious. The owners were very friendly and the breakfast was excellent.